Museum Victoria administers to the cultural and scientific collections of the State of Victoria and the world class Melbourne Scienceworks is its venue. 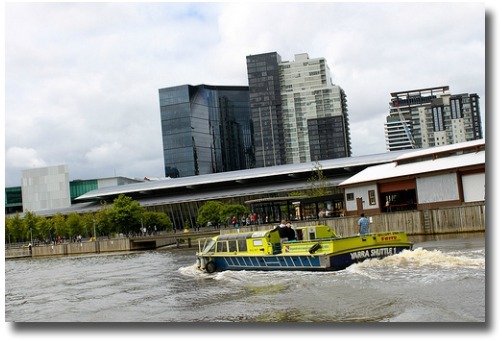 The museum is situated in Spotswood, on the western edge of the Yarra River. The industrial styled building was opened in 1992. 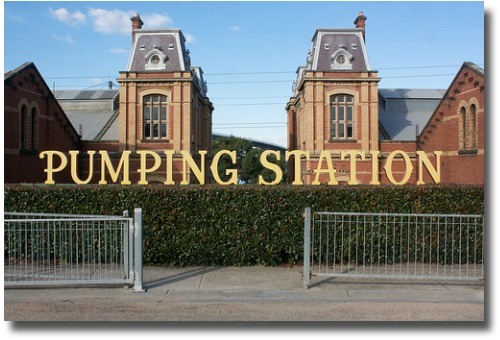 It is built alongside the historical Spotwood Pumping Station. This old building was constructed in 1897 and displays original old steam engines from that era. There is a 120 seat auditorium called the 'Lightening Room. In this room you can experience the amazing power of electricity. See the mighty 'Tesla Coil' in action. 2 million volts of electricity lighting up the room! 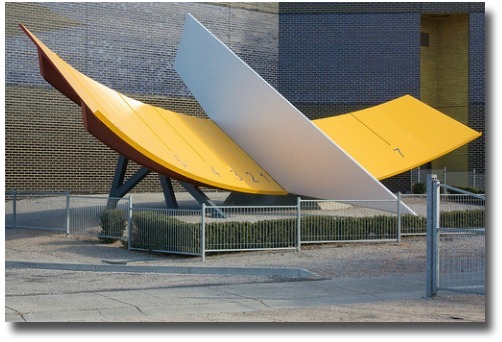 The Melbourne Planetarium is also housed on this site. Where Is The Science Museum? Click To Open/Close The Map - use it to get directions on how to get there. Go to the map above, click on the blue icon and follow directions. 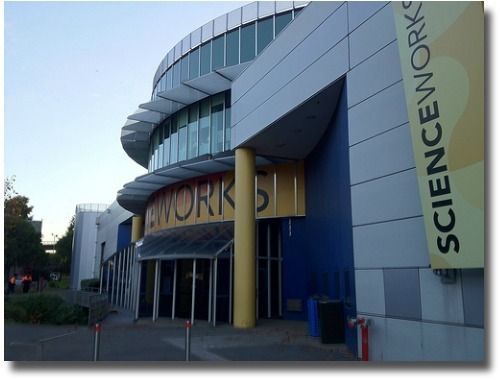 You can reach Scienceworks by ferry, running between Southgate, Crown Casino, Polly Woodside, Scienceworks and Williamstown. Train (Werribee and Williamstown lines) to Spotswood and then about a 10 minute walk. For an updated timetable go to Metlink. 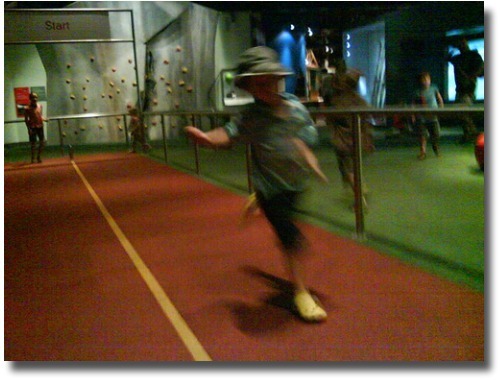 Science and Technology take on a new meaning .... push this, poke that, pull it, blow it and so on, hands-on interactive science exhibits make learning a truly fun experience not just for the kids but for you as well. learn how your body works. How about a race against one of Australia's fastest women sprinters, Cathy Freeman? 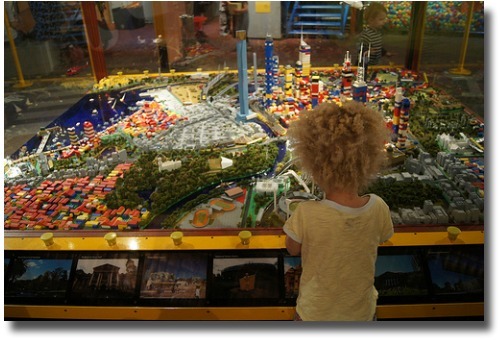 This Section has great exhibitions, over 20 hands-on and interactive experiences to take part in. Try your hand at being the world's greatest extreme snowboarder. 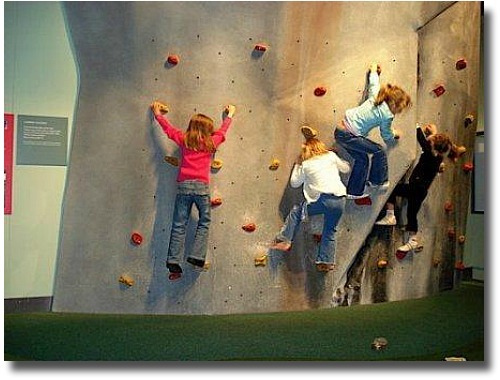 Or test your fear of heights and scale the climbing wall. What are you sleeping on or with? What happens when you put an egg and other things into a microwave and press the button? How does a mouse view its surrounds? Oh, watch out! Don't get sucked into that gigantic vacuum cleaner! This is really an electrifying experience 30 minutes of extreme sound and sight. 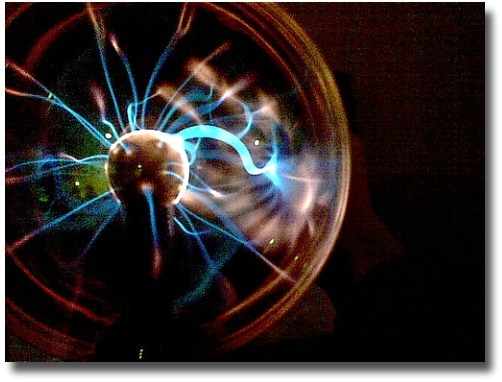 Have you ever seen a 2 Million Volt Lightening Demonstration? What happens when lightening strikes a plane in flight, someone standing under a tree or hits a building? These and so many more questions are answered by the stimulating demonstrator. 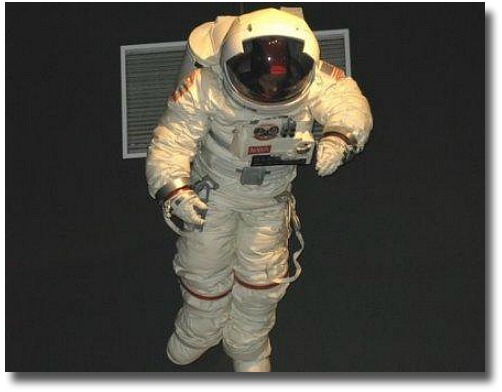 Sit back in your comfortable recliner and let your senses take in this awesome Virtual Museum. Stunning images and incredible special effects take you to the outer reaches of the universe. Wow, there is so much out there and more to explore! The huge modern dome fills with the most amazing images of stars, planets and those amazing black holes. The Audio is clear, non distorted and thrilling to hear. 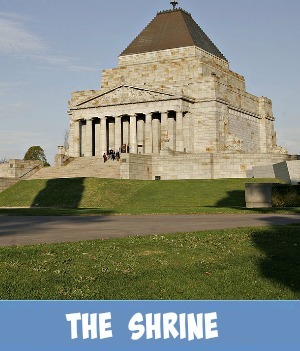 Why was Melbourne once nicknamed Smellybourne? 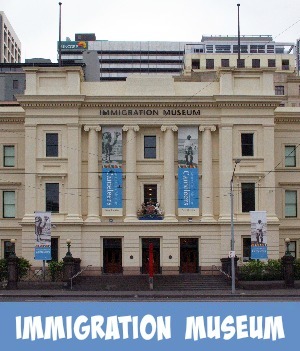 Your guide will answer this and many other questions as you wander through some of Melbourne's very interesting past. What is storm water pollution all about? Cigarette butts, dog droppings, grass clippings, paint, in fact all kinds of rubbish can end up polluting our oceans after being washed away into the storm water drains. So what really is all the fuss about? Find the answer to this and other pollution questions here. You can purchase Food/Drinks at the well stocked Museum Cafe - their Coffee is beautiful! You can also bring your own picnic and enjoy the undercover free BBQ's. There are several playgrounds for the children to climb over, under and through. 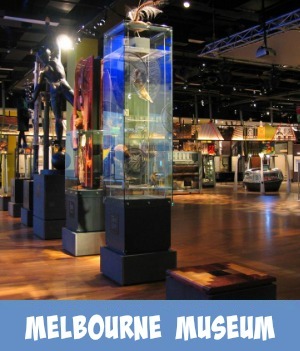 The Science Museum is continuously displaying different exhibitions. 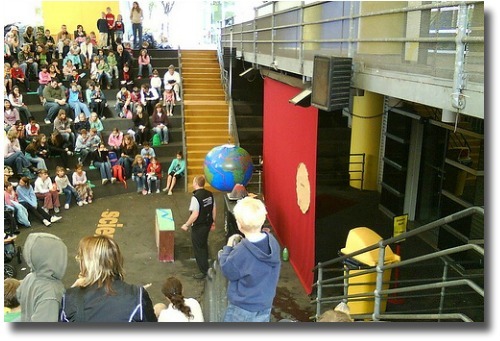 There are fantastic special shows arranged for the kids during their School Holidays.